This was delicious! My husband, and even my kids, couldn't stop saying ooh and ahh. 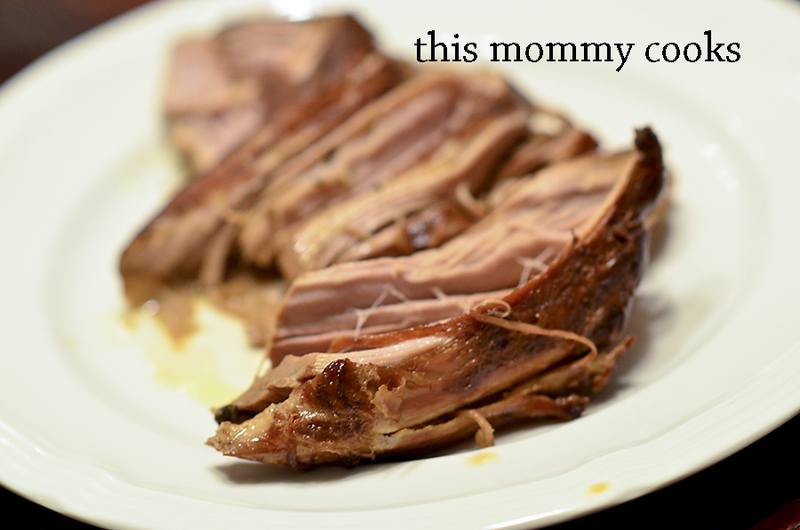 The original recipe doesn't use a slow cooker, but that is my favorite way to cook pork tenderloin. It makes it so tender and juicy and very flavorful. Definitely make this! Combine all marinade ingredients. Place the pork tenderloin and marinade in the slow cooker. Cook on low for 6-8 hours. I completely agree about pork in the slow cooker. I love the ingredients here--This sounds delish. And of course, I love easy!